Montblanc Corn Poppy Red Ink Review – Pens! Paper! Pencils! 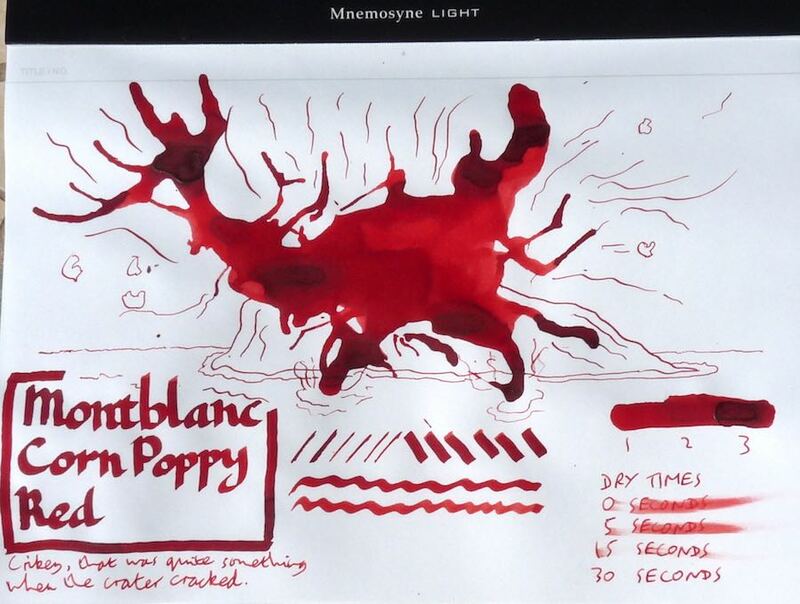 I find most of Montblanc’s standard range of inks to be quite disappointing but Corn Poppy Red is an exception. I absolutely love this colour. It also dries quickly and has some gorgeous shading. 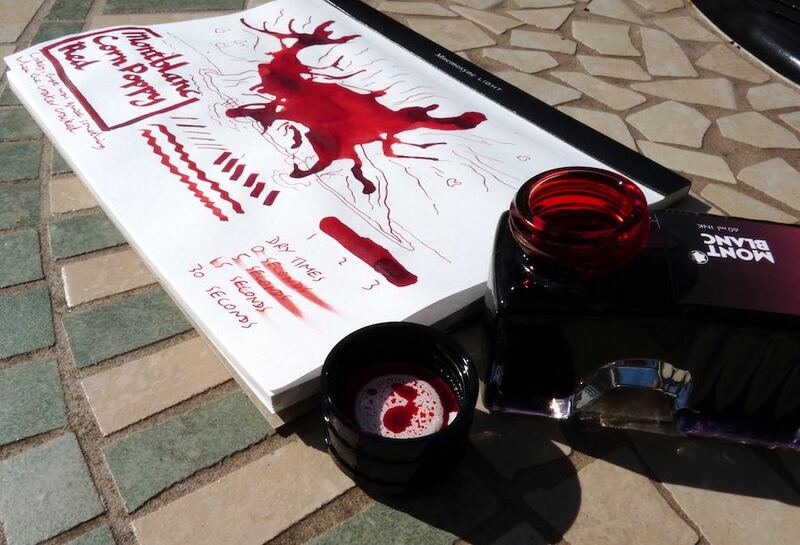 You can find some more reviews of Montblanc Corn Poppy Red on Pennaquod. The Pen Shop sent me a couple of cartridges of this ink to try (thank you to them for that) and I liked it so much I bought myself a bottle.